Footpad continued his ascent over fences with victory in the Racing Post Novice Chase at Leopardstown. 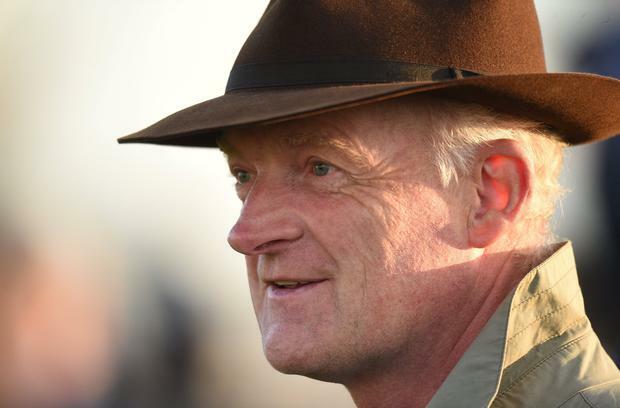 Willie Mullins' inmate looked the real deal on his chasing debut at Navan last month but, if anything, he looked an even smarter animal in this Grade One over two miles and a furlong. The five-year-old gelding gained a definitive lead four fences from home and simply did not look back. Death Duty is certainly no slouch, yet he had little response when Footpad went about his business and ended up falling at the final fence when booked for third. By contrast, jockey Paul Townend enjoyed an armchair ride on the victorious 4-6 favourite, who strolled home by a distance from Any Second Now. Footpad is now a 7/4 favourite for the Arkle at Cheltenham. Mullins said: "He's electric. From the first day at home that I saw him jumping over fences I thought he was the best I've seen for a long while. "He was good on his debut at Navan but today he was just awesome. He gained lengths at his fences and he's one to really look forward to. "I'd imagine he'd come back here for a similar type of race at the new Dublin Festival of Racing (Leopardstown, February 3-4) and then, hopefully fingers crossed and everything stays right, on to Cheltenham." Townend said: "Riding a good two-mile chaser, going that gallop and jumping as well as this lad does, there's no better feeling. "He was jumping so well, I couldn't disappoint him and take him back. We didn't hang around, we went a proper gallop and he was doing it in his stride. "He's always jumped very well since day one and for his second start as novice, to jump as well as he did there, was deadly. "He was doing it all so easily but he brings a very high level of hurdle form to the table so you'd be hoping that he could do that."